Divorce is never easy, but dealing with the inevitable fallout of a divorce during the holiday season can be even more difficult than usual, especially if there are children involved. 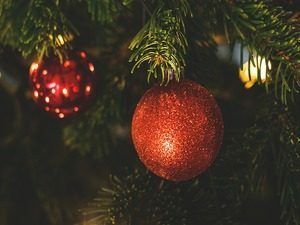 Fortunately, there are some things you can do to help make the holidays at least a little less stressful during this particularly trying time in your life. Communication is key all the time, but it’s especially important during this time of year. As difficult as your changing circumstances are for you, it’s even more difficult for your children. Make them a part of the holiday plans for the year, and remind them of the good times you shared as a family during holidays in the past. It’s true that things will be different going forward, but “different” doesn’t have to mean bad or inferior. This is a new chapter in your life and in the lives of your children. If you make them an important part of the holiday plans, they’ll have an easier time embracing the changes swirling around you. The other thing, and this can be far more difficult, is to be generous and forgiving. No matter how contentious the divorce proceeding might be, the holidays are a time to put all that aside and at least try to have a good time together. Yes, it’s different. Yes, it’s going to be challenging, but you owe it to yourself and your family to attempt a, not just a normal, but genuinely good holiday season. Perhaps the most important thing to remember is that as tough as your divorce might be, and as trying and challenging as the holiday season undoubtedly will be, these are temporary conditions. By this time next year, the worst of it will be behind you, and you’ll be well on your way to building a new and ultimately better life for yourself. Keep that in mind as you struggle with the most difficult parts. How Long Must I Wait In California To Remarry After Divorce? What Is The Process To Change My Name After Divorce? How Do I Keep The House In A Divorce? Can I Begin Dating During My Divorce?